Well done all those who made it along to Foodies on Saturday when the sun shone high in the sky and there was not a drop of rain to be seen. This however was my happy companions making their way along to the best outdoor Food Festival in town. I am sure many folks elected to stay at home in front of the fire but we were not to be beaten by a piddling hurricane – bloody Bertha! We were lucky enough to have VIP tickets again this year which meant a seat under canvas – never has this been more appreciated. Slightly hungover and very wet, the first task bar none was to find some lunch and retreat back to our undercover haven to pig out. There is always so much street food to choose from . From fine dining – Mark Greenaway was serving up delicious pork belly – to big curly chips on sticks and everything in-between. All corners of the globe seemed to be represented – Thailand, France, Germany, Mexico and the Seychelles to name but a few. My curry, served up with rice, was roasty toasty and tasted fantastic. 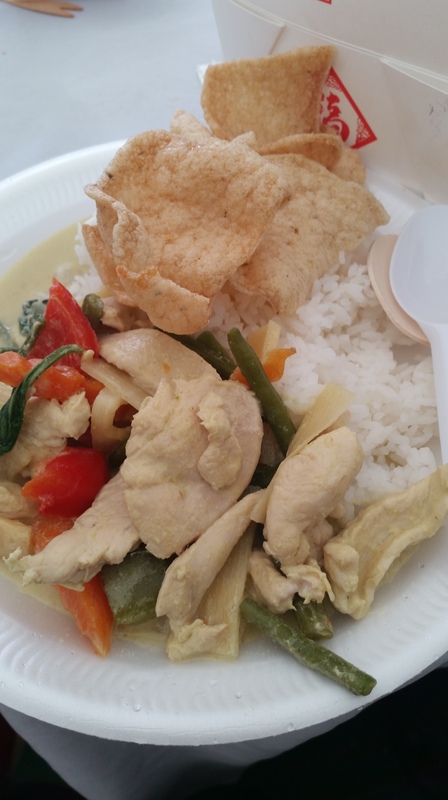 It was restaurant quality Gaeng Khiao Wan Gai served in a dry tent and paired with a free glass of bubbles. I began to feel slightly more inclined to venture out and about to forage for fabulous new finds. 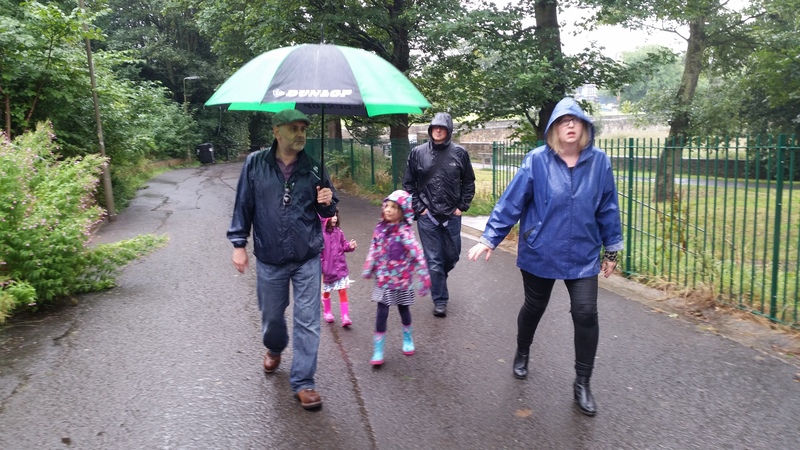 Having sent two very wet children home with Papa Pettinger, the remaining three set about exploring. Despite the dire weather there were some stellar finds. 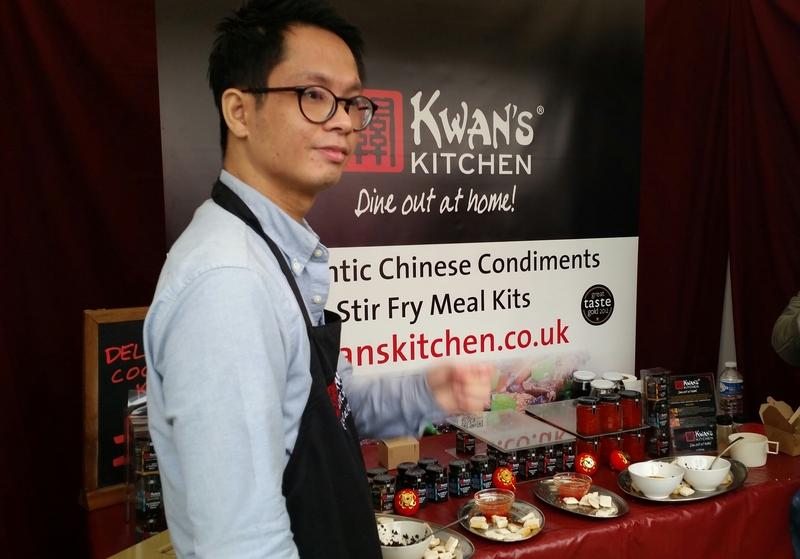 KWANS KITCHEN products are handmade in small batches in their Beijing Beijing Restaurant in the Scottish Borders. They contain no msg, artificial colours, flavours or preservatives. This is technically not a ‘find’ for me as I have used their marvellous products before. We sought them out as we had run out and needed a Kwan fix. Their products include a Szechuan oil, black bean and garlic sauce and a salt and pepper spice as well as their spanking new sweet chilli sauce. Kwans Kitchen flavours are very intense and authentic and it is really simple to transform a simple piece of fish or meat into something stunning with their help. I take couple of salmon fillets and rub them with the salt and pepper spice (just a little bit) then I spread a few teaspoons of the garlic and black bean sauce over the top and pop in the oven for 15 minutes. I then drizzle a little of the Szechuan oil over each fillet and pop back in the over for 5 minutes. The result is fantastic. I serve this with fried rice mixed with spring greens and soy sauce. One glass of bubbles was not enough and this was just what was needed. A generous sample of the newly launched offering from one of the UKs best-selling cider brands – Stella Artois. The new kid on the block is a raspberry cider which “has been carefully crafted according to a unique Belgian recipe, which uses hand-picked, crushed raspberries to deliver a sophisticated fruit cider with a refreshing, crisp taste” And that is exactly what it does. The only downside was the wee stamp on your hand which limits you to one sample, I rubbed it, it was going nowhere. I will need to head to the supermarket to stock up on this as alas I didn’t feel my soggy paper bag would stand up to a bottle of cider. It would be an absolutely gorgeous addition to a sun filled afternoon in the garden, served ice-cold with perhaps a punnet of raspberries on the side. Look out for it in your local supermarket. What is Black Bun? I had no idea. Turns out it is a fruit cake which is completely covered with a thin layer of pastry. A bit like a great big fat Garibaldi but much much better. This Scottish delicacy was originally eaten on twelfth night but is now a traditional first foot gift on hogmanay. It is a heady mix of fruit, citrus peel and spices (noteably pepper). It is rich, comforting and best of all you can kid yourself that you are getting a few of your five a day (sort of). Grandma Chapman’s Black Bun was irresistible and found its way into our soggy shopping bag. Perfect to accompany a cuppa on these increasingly autumnal days, alternatively it will be lovely warmed up with a good splash of custard. 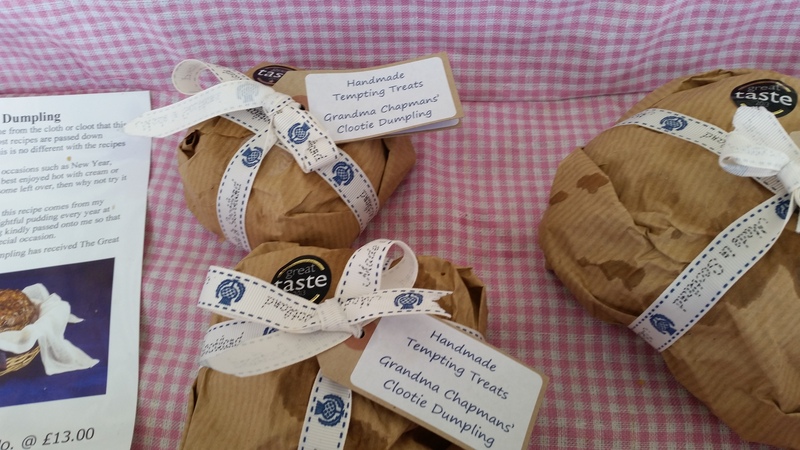 They also produce Clootie Dumpling which is possibly one of my favourite treats ever. Instead of a birthday cake my fabulous granny used to make me a big clootie dumpling, which would be eaten with liberal amounts of custard and the next day it would be fried up for breakfast – absolutely delightful. Flavour Magic produce infused salt and spice blends. 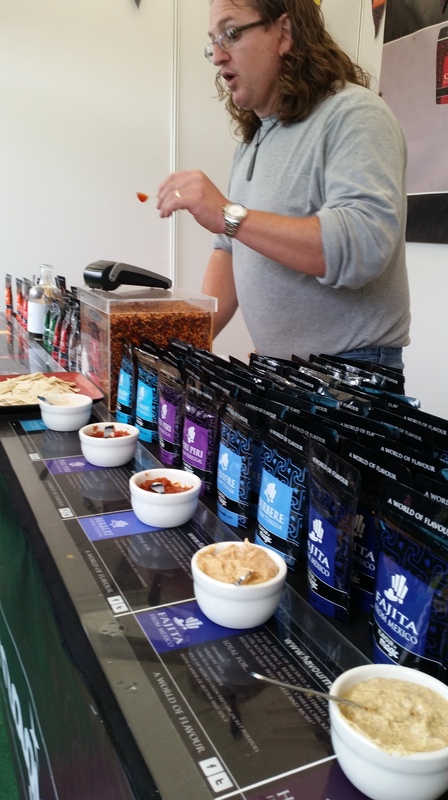 It’s the spice blends that were on show at Foodies and they were fantastic. Using flavours from Mexico, Morocco, Tunisia, Portugal and Japan – they really give you a chance to taste your way around the world. They are sold as great marinades for meats, vegetables and fish but to be honest some of the blend mixed into mayonnaise or yoghurt would make a fantastic dip for crudities or crisps. I lingered long enough to taste all of the fabulous punchy spices before deciding to call time on my Foodies experience for this year. Ordinarily I will spend an entire day at Foodies. Soaking up all of the magnificent smells and flavours whilst lolling about on the grass with a chilled glass of something and enjoying the weather. But we live in Scotland and there are no guarantees when it comes to weather. So this year It was a quick couple of hours for us before slinking back home for a hot drink and some fudge. 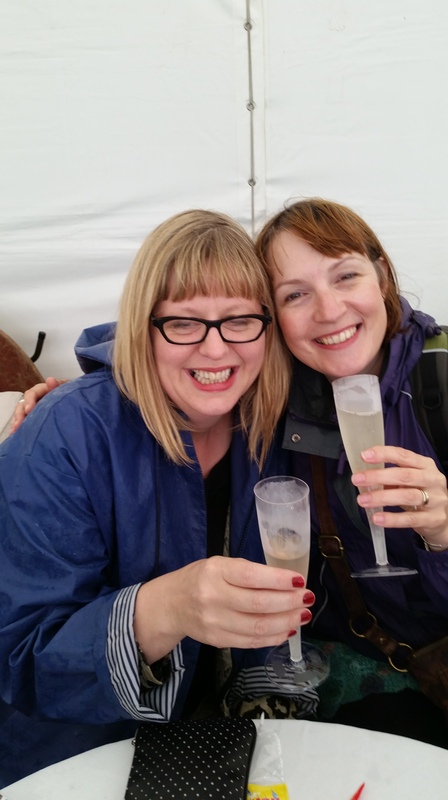 The range of producers were as ever amazing and the workshops looked really interesting BUT I am rubbish in the rain and wind and my enthusiasm waned quickly. Hopefully I will choose the sunny day next year. Categories: Uncategorized | Tags: Foodies, Mark Greenaway, salt and pepper | Permalink. There are some days you never want to end and Sunday was one of them. It seemed like an age since my little family had left the confines of Fife for an adventure, so armed with wellies and waterproofs, B took us on a magical mystery tour. 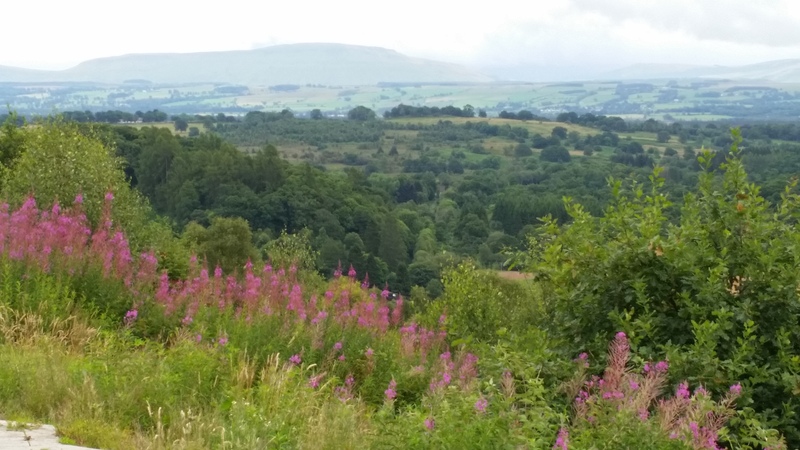 He promised a great lunch, stunning scenery and a beautiful walk – my idea of a perfect day which goes to show that the boy knows me well. We pulled up a few miles north of Callander outside the Venachar Lakeside Harbour Cafe & Restaurant. From the roadside this wooden restaurant is a little underwhelming, but step inside and it takes your breath away. 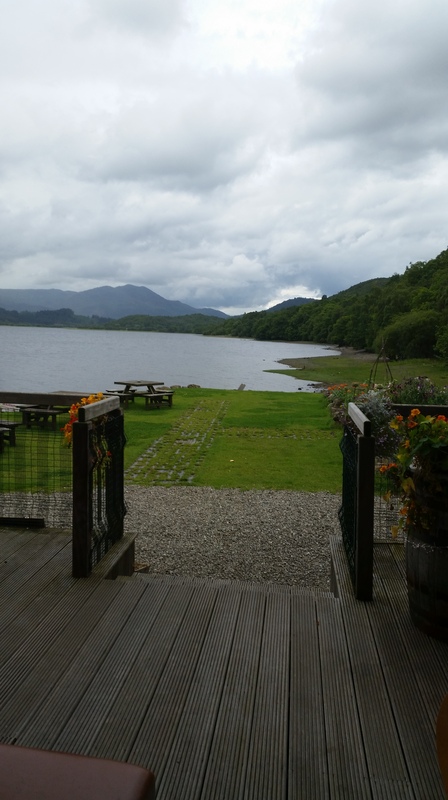 Sitting on prime position right on the loch, the entire length of the dining area is glass, looking straight out onto stunning Loch Venachar and the Trossachs. The sun was interspersed with rain and mist on Sunday and the effect on the scenery was amazing. The restaurant itself is relatively compact, however the light and the view makes it feel much bigger than it is. The menu is local and seasonal featuring favourites such as burgers, the ever popular Cullen Skink, Venachar Trout and beautiful steamed West Coast Mussels. In addition there are meat, cheese and smoked fish selection boards featuring the best of Scottish produce and a range of daily specials. I selected Spanish Style Mussels with Chorizo, B went for the burger and we ordered a seasonal vegetable risotto for mini grumbling tummy (well you have to try don’t you). I spent my time waiting for my meal salivating and staring goggle-eyed at the selection of dishes coming out of the kitchen. It was getting embarrassing but by god did that food look good. The duck dish on the specials board looked like it had jumped straight from the pages of a food magazine and smelt glorious. I also suspect that Neptune himself may have had a hand in the preparation of the smoked fish selection board. Finally our food arrived and it was well worth waiting for. Not that we had to wait too long, I am just greedy and impatient. Bs Burger was majestic and arrived in the company of a lovely soft bun and ever so crispy home-made chips. It tasted superb and I am champing at the bit to get me some more of that burger on a return trip. 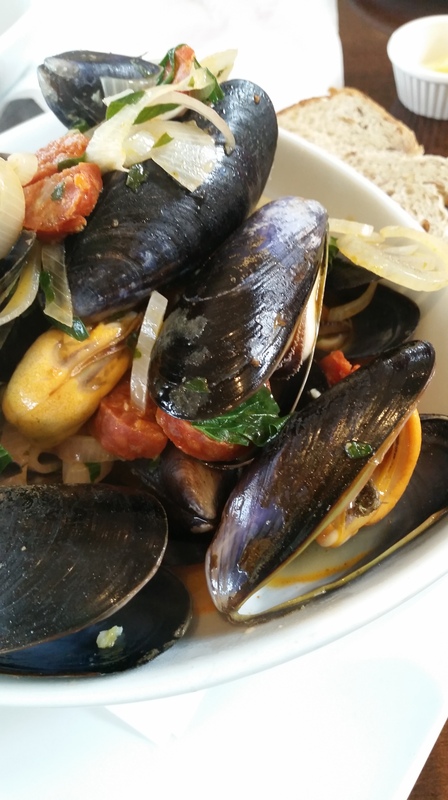 My Spanish mussels were huge and perfect with that oh so fresh seaside taste mingled with onion and chorizo. It was a treat which was washed down with a glass of chilled white wine and hunk of bread thick with butter – ah heaven. One of the nicest dishes on the table was the child’s portion of risotto. To be honest the portion was perfectly adequate for a a fully formed adult and wee one was a bit overwhelmed by the size. Luckily for me she was underwhelmed by the taste and it took the bribe of a mint aero to persuade her to take a few mouthfuls. Her loss was our gain. 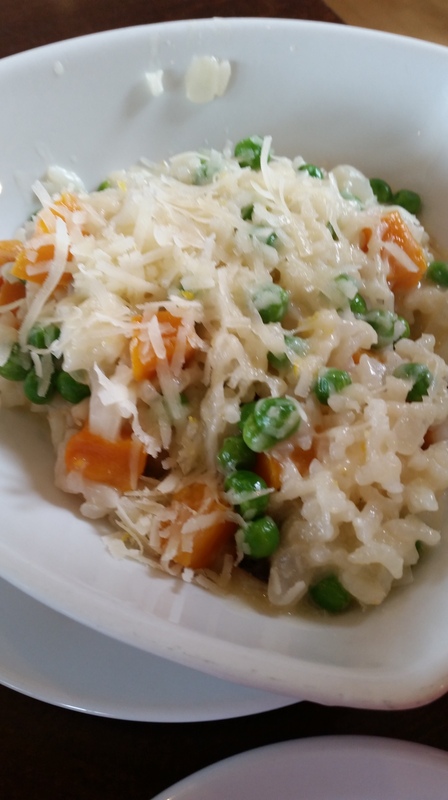 This delicate risotto was flavoured with parmesan, roast butternut squash, peas and I would have put a guess on a touch of wine but I could be wrong. As it was still raining by the time we had guzzled lunch, we felt obliged to stay indoors and sup on coffees served up with an Anzac biscuit roughly the size of my face and an Oreo cake roughly the size of my daughters head. She is pretty small but still… It was greed and it was good! 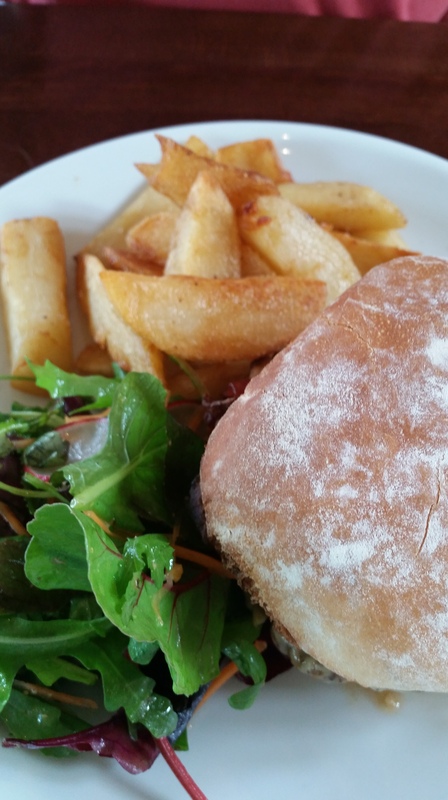 If you do go to the Venachar Lochside Harbour Cafe and restaurant, and I strongly advise that you do. 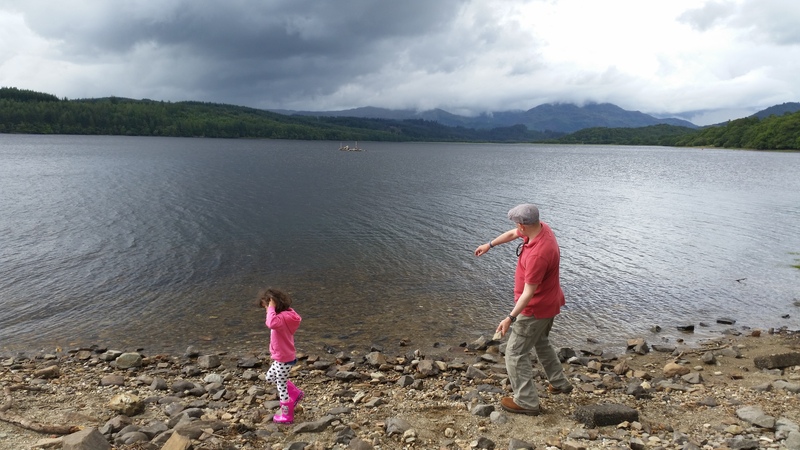 Pop outside for a bit of stone skimming then head to the Queen Elizabeth Forest Park where there are fantastic marked walks peppered with waterfalls, squirrel hides and other marvellous things. Unsurprisingly this restaurant is a hugely popular wedding venue and you need to keep an eye on their website to find out which weekends they will close to the public. If you want to bag a window seat you will need to book but even if you don’t sit right at the window you still get the most marvellous view. It was my perfect day! What would your perfect day involve? Categories: Uncategorized | Tags: Cafe & Restaurant, Venachar Trout | Permalink. Its been over a month since I have posted anything on this site, which is a ridiculous hiatus and one for which I can only apologise. In truth I’ve had a bit of a fall out with food of late. At the moment anything even vaguely enjoyable is jumping straight onto my hips and bahookie. I’m not amused and have been trying to be stupidly healthy, I fear that I may turn into a rice cake soon – all be it a rice cake smothered in hummus. Those who have been following my avid cake baking attempts may scoff at this but honestly APART from the odd cupcake, Chinese meal, glass of wine and ice cream … I have been ever so good. Damn Delicious are producers of premium Aberdeen Angus Beef, natural grass fed lamb and organic pork. This family run farm near Biggar takes great pride in using unique and natural farming methods ensuring meat of the finest quality with a stunningly delicious flavour – it’s meat like it should be. Until now they’ve been a strictly on line supplier, however, I hear on the grape vine that they have just opened a farm shop at Thankerton Camp Farm, with future plans to open a permanent destination farm shop, café and children’s play area. Hurrah! Cafe, children’s play area and farm shop – the dream team of ideas. So as you may have guessed I took delivery of a great big bag of meat from the guys earlier this month and set to work planning what to do with it all. I am of the opinion that you don’t need to do much to enhance truly great meat so I put it to the test with the simplest of traditional treatments. 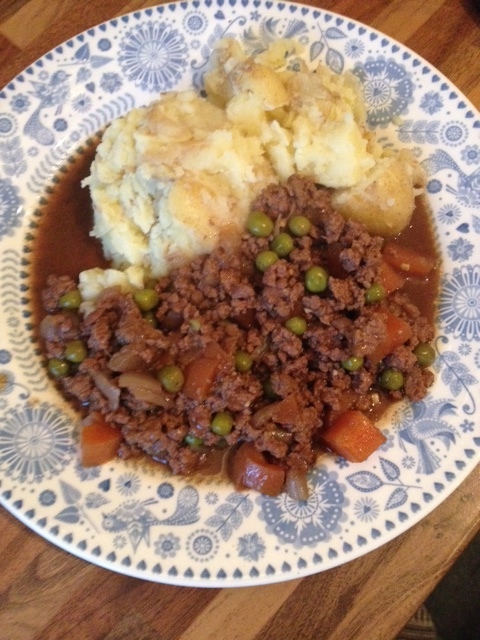 You just can’t whack a big old plate of mince and tatties. The most exotic I get with this dish is the addition of peas, carrots, a generous dash of Worcester sauce, stock and some Bisto. It’s always a winner anyway but this particular plateful blew us both away. I am going to find it hard to describe because beef mince is just beef mince isn’t it? NO it is not and this was at the exceptional end of the scale. One of the main things that set this mince above that which you buy in the supermarket was the texture. It didn’t stick together in clumps when cooking, it was incredibly smooth and honest to god I am not sure I have ever experienced mince like that. The taste shone through like a beacon, it truly was THEE nicest EVER plate of mince and tatties I have ever had. B is the steak cooker in this house as unlike me he always manages to get it just the right side of pink. He also declares that this steak is much tastier than sirloin. Again simplicity was the key. 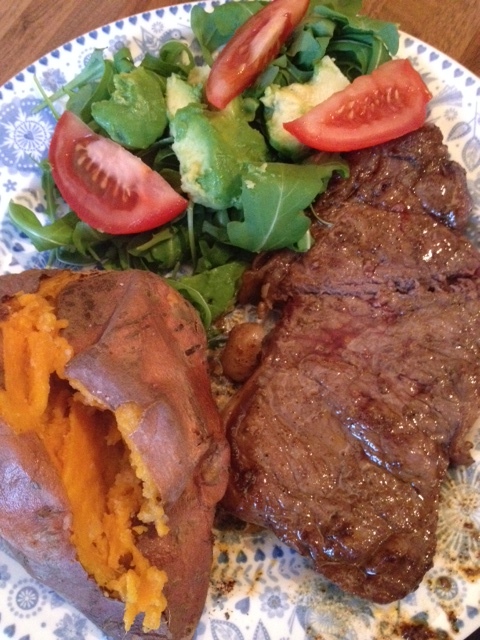 A tiny bit of seasoning on the steak which was pan fried and served up with fluffy, buttery sweet baked potato, salad and a dollop of mild mustard for me. I am a little wary of tough meats ever since my mum choked on a piece of steak on Christmas day at the Scores Hotel in St Andrews – honestly – it was a Heimlich affair. Anyway I digress. My knife has to slip through my steak like a butter pat or else I have a real issue. The cook helped but the knife did indeed slippety slip through, which made it a delight to eat. It tasted truly top notch. When I am sent lovely things as a blogger I vow to be 100% honest. That’s the risk producers take by allowing me to write about their products. I love a stew – I just chuck in carrots, sometimes parsnip, a few new potatoes, stock, red wine and onion and of course the meat which has been coated in seasoned flour and sealed. I then leave it in a moderate oven for around 3 hours. The idea is that the meat just falls apart. Not only did this meat fall apart as requested but it tasted amazing. 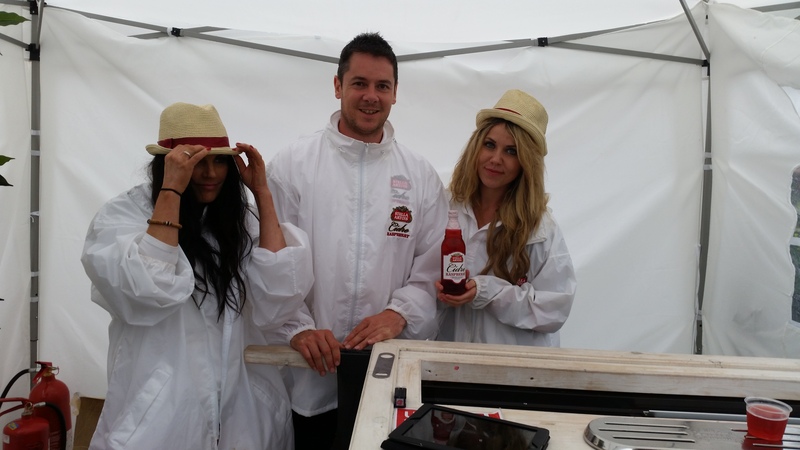 Its like the mince thing – beef is beef – NO! It just had such a real honest to god quality beef flavour. Let me explain. 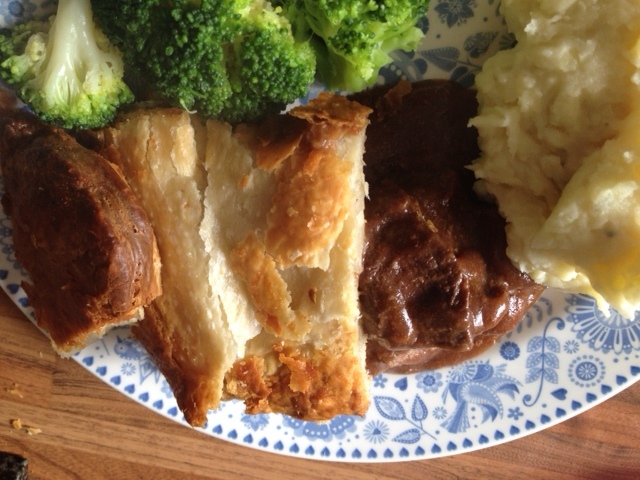 Even when you get the meat all melty – I often find that you are mainly tasting the stock and the veg and all the other gubbins. With this dish, I tasted the meat, and it tasted Damn Delicious. There was a lovely picture but in the melee of phone changing and broken computers it has taken leave of my devices. Hmmm – I think we may have cooked this little blighter a bit too long as it didn’t pass the knife test. It did taste lovely but being that little bit tough made me anxious. I am a bit odd and I doubt that an overcooked steak would have that affect on most of the population. The cook will read this and be railing with indignation and maybe it wasn’t the cook – who knows. All in all I would heartily recommend that at least once, you ditch the supermarket meat and give Damn Delicious a try. They are really very very good and I for one will be heading back for more.